Citizenship and Immigration Canada (CIC) issued a notice on Friday instructing those affected by the wipe-out of the pre-February 27, 2008 Federal Skilled Worker (FSW) application backlog to submit a form informing the department of their current address in order to have their fee return processed. Approximately 280,000 FSW applications filed before the Feb. 27th 2008 were wiped out with the enactment of Bill C-38 on June 29, 2012, with the federal government committing to return the application fees paid by those affected. Friday’s notice asks those whose FSW applications were likely affected by the new law to submit a completed RETURN OF PROCESSING FEE, RIGHT OF PERMANENT RESIDENCE FEE OR RIGHT OF LANDING FEE form to CIC. The first contingent of applicants to have their fees returned will be those who had contacted CIC to enquire about their fee refund before Friday’s notice. The next group to be refunded will be those who update CIC about their current address by submitting the above linked form. Finally, CIC will contact the remaining applicants and attempt to verify their current mailing address before processing their fee return. After his mindless efforts to make a hotch-potch broth by blindly copying a bit from immigration laws of Australian, UK, New Zealand immigration Minister Jason kenny has lowered the standing of Canada to that of a “bannana republic”. hHistory will look at him as a mordern-day Nero who fiddled with the immigration system on the pretence of doingf something out of the box. Canada is not only paying millions as refund. Soon Canada will pay a heavier price- Canada will have to pay immigrants to come to Canada. Remember No Immigrants – No Canada. Soon. @raihan your comment makes no sense. Canada will still get immigrants, just not you ha ha!! No doubt, at least 100K of them were coming to Vancouver. We don’t need more immigrants at this time, thank you very much. The jobs are in Alberta, not here. The changes happened because the immigrants weren’t learning English/French, weren’t spreading out across the country, and weren’t earning the incomes needed to do well in Canada. We still have an endless supply of people who qualify under the new rules. Way more than we could possibly handle. Backloggers now get a chance to improve their home country rather than run away to Canada to work in deadend jobs that don’t make use of their education. this is an injustice and studpid decision because canadian government is fullu responsible for making this backlog. why did initially they not stop taking application ? why they did not evaluate very quickly? so it is govenment’s fault, but punishment is aplicants. this is highly ridiculous. This was the law that , our application to process according to the law applicable at that time . But they are making new law to refuse beyond processing . Is it true this is the inherent character of the Canadian nationality , are they fraud ? 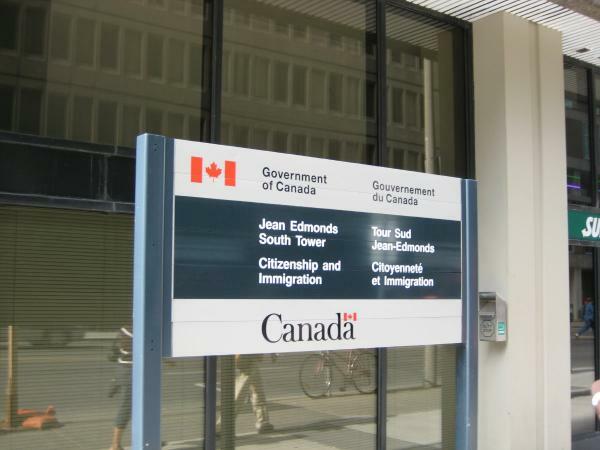 I think there are top level fools sitting in The Canadian immigration office who don’t even care how much time they have wasted of the FSW applicants. Its just because of their incompetency and lack of responsibility that we have faced this setback. Is it so easy to refuse a person who filed an application 5 years ago and now just getting an email notification that their application has been rejected. I would simply say it as a great injustice with the applicants who applied as per the then policy and now getting refusals of the mistakes made by the Canadian Govt.